Do you need a towing services? Then Sandy Towing is the towing company for you. Sandy Towing specializes in anything tow truck! Towing, private property towing, roadside assistance, lockout service, and junk car removal are our specialty. Customer service and safety, are our number one priority. Sandy's Tow truck drivers always go out of the way when it comes to the satisfaction of our clients. When you’re in need of towing in Sandy, Utah, Sandy Towing is your number one towing service. Sandy Towing is dedicated to having the best tow truck service and we know our drivers are passionate about the high quality service we provide. Our towing service is fast and convenient, getting you back on the road as soon as possible. Sandy Towing is the most reliable towing service in Salt Lake County. From locking your keys in your car, getting a flat tire, or having a dead battery, Sandy towing has you covered with all of your roadside assistance needs. Our years of experience with towing in Sandy, we understand how important it is to have a satisfied customer, and returning costumer. Sandy towing offers a variety of different towing service all over Salt Lake County. Sandy towing specializes in all types of towing services and ensures only the best in towing service. If you have been looking for a tow truck near me well look no further! If you are searching for "towing near me" Sandy Towing will be there fast and get you back on the road. If you need to be towed to a mechanic or need help with a flat tire, from locking your keys in the car to any other towing assistance we have your back. Distance is not a problem for us and we do not charge when your car is not attached so long distance towing to Ogden, Roy Layton or any other area we will go over 100 miles to get your car where you need it. Sandy Towing takes safety and Towing very seriously. Our Tow truck drivers are always prepared to offer only the most exceptional towing service. If you need a tow truck chances are you day is currently not going as smooth as you would have hoped. Our Towing experts will ensure that your towing experience will go as smooth as possible. For your convenience we offer 24 hour towing service in Sandy and as much as we hope you do not get stranded in the middle of the night, we will be there an y time whenever you need us. Lock yourself out of your car? Believe it or not we have all been there before too. No worries, Sandy towing is also experienced in lockout service. At home, at work or some place out and about we will be there to get you back in your car and on with your day. Our expert lockout service technicians are fast, efficient and deliver only the best customer service. We will get you back into your car without any damage to your car. Sandy Towing will meet all of your towing needs including private property towing. Do you have any abandoned vehicles or unwanted vehicles on your property? Our Private towing professional tow truck drivers are fast and reliable. Helping to clear your property of unwanted vehicles at home or your place of buisness. Not sure what to do with abandoned or unwanted vehicles on your property, Call Sandy Towing and we will take care of you. Do you have a junk car on your property that you are just not sure what to do to get rid of it? Sandy Towing can get rid of any unwanted vehicle. Junk car removal services in Sandy, call Sandy towing and we will remove your junk car giving you your yard or driveway back. We understand it can e a hassle to try and get rid of a junk car, so let you deal with all that and remove the junk car from your property. 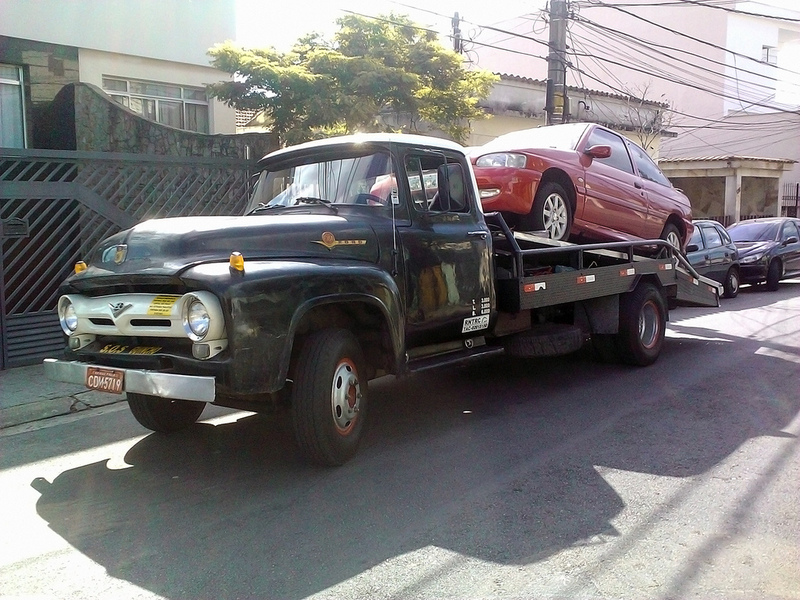 Even with the junk car removal you will still get the best customer service guaranteed by Sandy Towing. We aim to please and will always provide you with the best roadside assistance service at Sandy Towing. Sandy's Roadside assistance professionals are experienced in any of the issues you may be needing assistance with. We know your day is not going smooth if you had to call us for our roadside assistance service however, we can ensure that from the moment we arrive at your vehicle to serve you with whatever assistance you need, the rest of the time will go as smooth as possible. We will to leave you with the bet experience possible under your circumstance of flat tire, engine overheating, or ran out of gas.
" I was stuck on the side of the road with a flat tire, so i called sandy towing. They showed up fast and Towed me to a local tire shop to get a new tire put on. They were nice and PROFESSIONAL"
" I have had a broken down car in my driveway for over a year, we decided it was time to get rid of it and Sandy towing came within 30 min to tow my junk car away." “I needed some roadside assistance to help me get into my car after locking my keys in my car, Sandy towing got me into my car and back on the road in no time"
Sandy Towing has always provided exceptional service and we still continue to always go above and beyond in our service. Throughout every tow job our tow truck drivers will provide only the best service to you, our valued client in Sandy. Our Towing professionals are trained in any and all towing service needs, and that goes along with all roadside assistance needs. Flat tire service, lockout service and any and all other roadside assistance needs. Any towing job, junk car removal or road side assistance, Sandy Towing is only a call away. We will be sure to take care of any towing need for you today! If you’re in need of “towing near me,” then Sandy Towing is here for you. We are always ready to provide fast and reliable service to our residents of Sandy and Salt lake county. We are dedicated to providing only the best towing service with any towing service you need. Because we are a local towing company near you we are sure to be there fast and help you get back on the road, and back to your day as seamless as possible. Thanks for trusting us with your towing needs, we know you will be pleased with your choice to call Sandy Towing.